As a responsible importer or exporter, you must be up to date on dangerous goods regulations. Dangerous goods can include anything from hazardous materials to explosives. Special care must be taken when shipping dangerous freight to insure the safety not only of the shipment, but that of the carrier, warehouse and dockworkers and the general public. Around 80 percent of all dangerous goods are flammable liquids like gasoline, fuel oils, adhesives or alcohols. 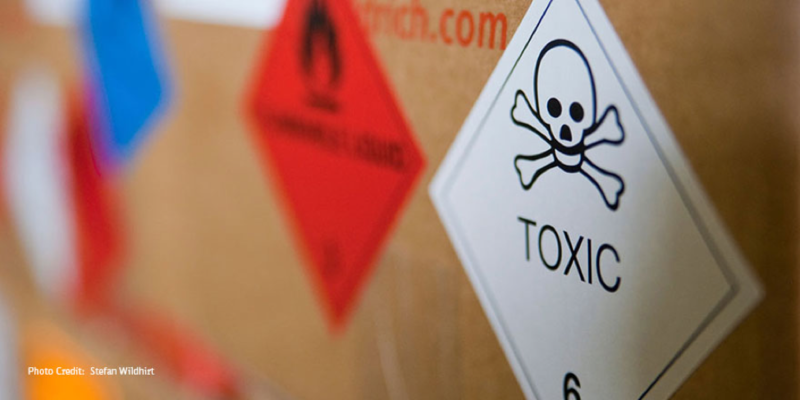 Typically, the chemical industry and chemical trade account for the highest proportion of dangerous goods. As evidenced by past events, even everyday products can be grouped into the “dangerous goods” or “hazardous goods” categories. This is a particularly important point for any firm that’s exporting goods and may not necessarily realize that parts such as lithium batteries, magnetized materials, or even dry ice may be classified as hazardous materials (HAZMAT). Chemicals that, in the course of normal handling, use or storage, may produce or release dusts, gases, fumes, vapors, mists, or smoke having any of the above characteristics. Any item or chemical which, when being transported or moved, is a risk to public safety or is an environmental hazard, and regulated by the Department of Transportation, International Maritime Organization, IATA, International Civil Aviation Organization, or the Federal Aviation Administration. 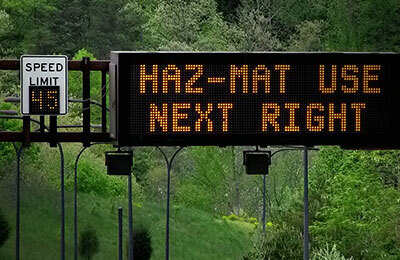 HAZMAT also includes any item or chemical which is reportable or potentially reportable or noticeable as inventory under the reporting requirements of the Hazardous Chemical Reporting, or as an environmental release under the reporting requirements of the Toxic Chemical Release Reporting: Community Right To Know (e.g., chemicals with special characteristics which, in the opinion of the manufacturer, can cause harm to people, plants, or animals). Finally, HAZMAT also includes products made with special nuclear source or by-product materials, or those that are regulated or referred to as radioactive. One wouldn’t readily assume that an everyday consumer item like a cell phone could be labeled a “hazardous item” and banned from all airline flights after nearly 100 incidents of the devices overheating and sometimes injuring owners. However, even seemingly innocuous items can be deemed hazardous in the eyes of the regulatory departments that oversee the movement of goods around the world. Just how those products are labeled depends on exactly where the items are going. For example, the term HAZMAT is typically used in the U.S., while the international ocean freight industry classifies these products as “dangerous goods” when they are being transported to and from the U.S. For the latter, everything from product labeling to packing materials to shipping documents is strictly regulated to ensure compliance. A preferred energy source for a wide selection of mobile phones, toys, laptops, and other consumer goods, lithium batteries can pose a safety risk when not properly prepared for shipping. Shippers of flammable aerosols, dry ice, and similar materials must also follow certain regulations when transporting their goods domestically or internationally. A laptop computer that runs on lithium ion batteries, for example, may fall under the HAZMAT umbrella, and so may the products made with magnetized materials. Magnetized material is defined by IATA as all material that, when packaged for air transportation, possesses a magnetic field force of 0.002 gauss or more, at a distance of seven feet of any point of the surface of the consignment. According to the International Civil Aviation Organization (ICAO), magnetized cargo cannot be accepted for transport if its magnetic force exceeds 0.00525 gauss (or a maximum deflection of 2 degrees in a “compass”) at a distance of 15 feet from any point of the vertical faces of the consignment. To be transported, the cargo must be armored (or the magnetic force neutralized), so that it does not exceed those parameters. James says due diligence goes a long way in helping shippers navigate the rules of shipping hazardous materials. “When you’re transporting commodities, there are a lot of items that you wouldn’t think of as being ‘dangerous,’” she says. Ignoring this fact can be both a hazardous and expensive approach. Shipments that are placed on passenger aircraft carrying international cargo, for example, could potentially impact the aircraft itself, its passengers, and/or the other cargo being transported. An experienced logistics partner can also help. DB Schenker, for example, offers a program that specifically addresses the challenges of transporting hazardous materials. Using the program, shippers can generate the necessary dangerous goods documentation; validate interior and exterior packaging and labeling; and ensure that the shipments are properly marked for transport. As a party in the international transportation global supply chain, there is assistance available to you so that you can remain in compliance while maneuvering through the complex regulatory requirements associated with hazardous goods transport. Please contact DB Schenker or visit our website today to learn more about our various efficient and effective Trade Advisory Solutions Tools.